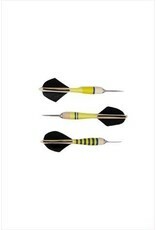 Darts are sold in sets of three, with matching feather colors. 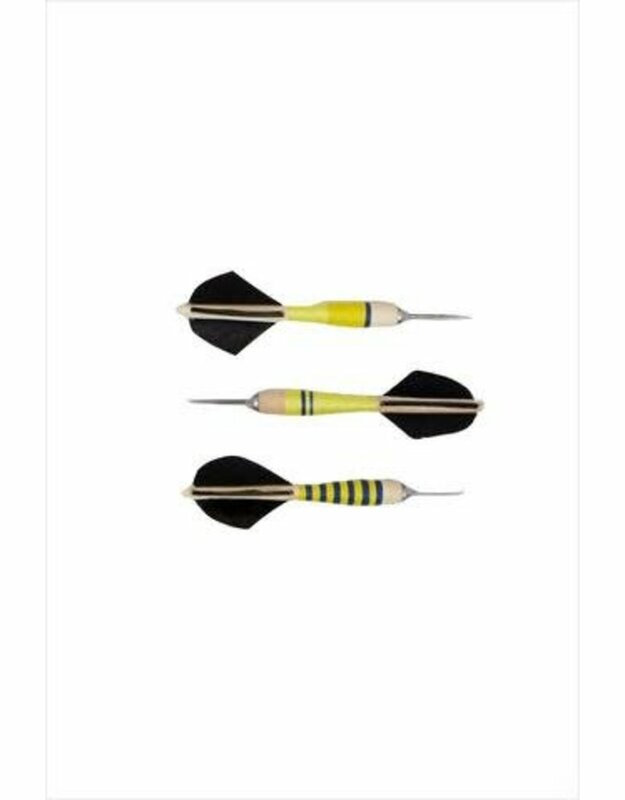 Darts were historically used in warfare in ancient history; skirmishers used darts of varying sizes, similar to miniature javelins. It was the practice of this skill that developed into a game of skill.